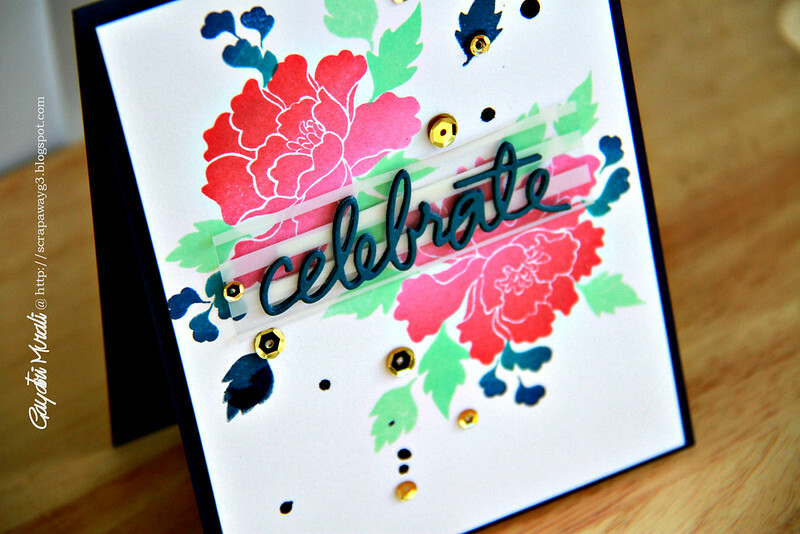 I am back today with a card share for Ellen Hutson’s Mix It Up Challenge. For this month;s challenge, the mix up is with Altenew. Since I have so many Altenew stamp sets, I decided to play along. 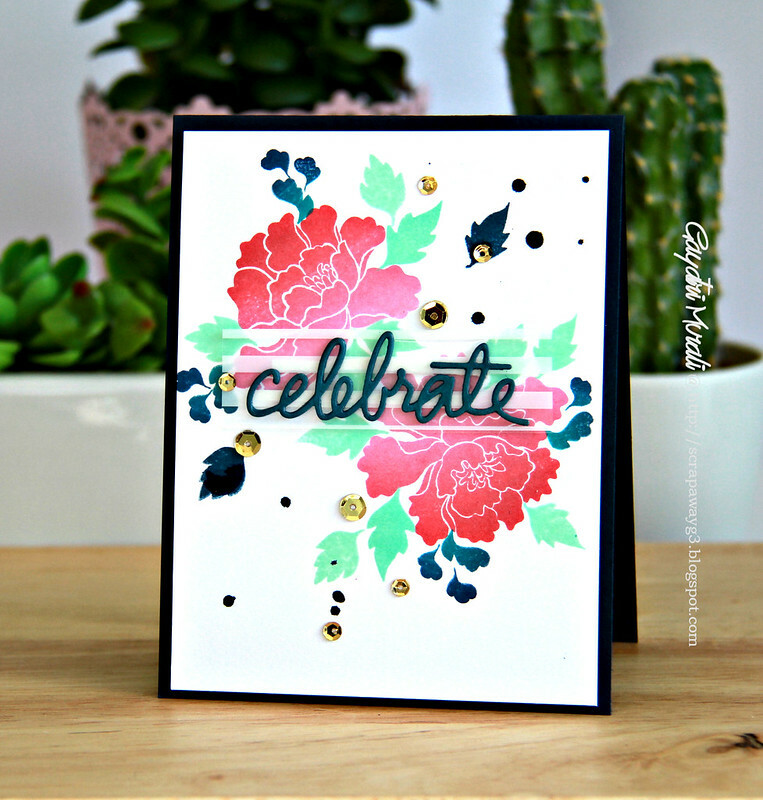 I have used Hero Arts’s Pink Ombre ink pad to ink and stamp Altenew’s flowers from Lacy Scrolls stamp set. Then the leaves in Hero Arts Mint Julep and Simon Says Stamp Soft Navy inks. The other images in Hero Arts Blue to Navy Ombre ink. I also spattered some Navy ink on the card. I then layered with white striped acetate piece. The sentiment is from Ellen Hutson’s Zipper Panel die set. I die cut in Navy cardstock three time and stacked glued them together. I adhered this sentiment die cut to the acetate strip. Finally embellished with gold sequins from Pretty Pink Posh. I love this challenge and Pin Sights challenges at Ellen Hutson Blog. It is so much fun. Thanks for the challenges. Gorgeous! Loved the ombre effect on the blooms! Oh, this is so pretty Gayatri. Love the colors and the black die-cut word. Amazing design.